MANILA, Philippines - With all the glossy brochures, brilliant wording and flashy endorsers on real estate advertising, there are a lot of things that will attract the everyday consumer to trendy showrooms that property developers have set up. But what those pictures don’t show is what the place will look like when you’re finally living in it. Showrooms only show the good and the beautiful side of these condominiums with brand new surfaces seldom resistant to wear and tear. Rockwell Land, one of the most trusted premier real-estate developers in the country, gives 10 things that every homebuyer should ask their real-estate developer — an insider’s guide into the littlest details that can make the biggest differences in everyday life. With The Grove by Rockwell in Ortigas created for the young achiever and starting families, Rockwell gives their take on what new homebuyers should look out for. 1. What amenities do you have? Can I use it anytime I want? Amenities are for sharing, and you want to make sure the amenities are well-maintained, clean and orderly. You will also have to make sure that you have the option to use these when you feel like it. Avoid overcrowded amenities that are made available only depending to your scheduled time of use. 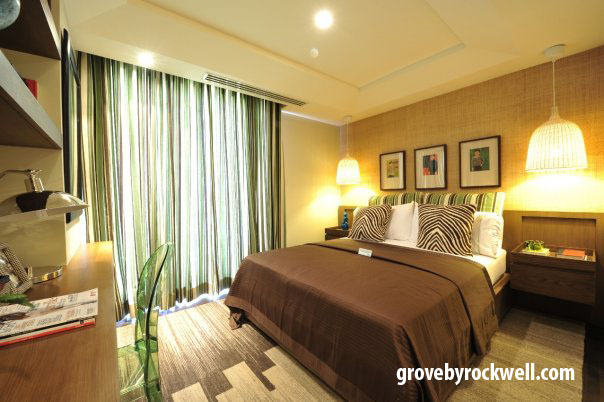 A place for peace of mind: The bedrooms at The Grove are designed for rest. The Grove by Rockwell’s sprawling grounds go beyond the basics with several swimming pools to choose from, a gym, a game room, and a dance studio. Sports can be played in multipurpose courts found indoors and outdoors as well as the vast soccer lawn. There are also meditation gardens and pool lounges for a complete rest and relaxation vibe. 2. What is the elevator waiting time? You would think that the provision of elevators in a development is a standard, but you get stuck in line, queuing to go up to your home. In The Grove by Rockwell, the elevators are strategically planned to keep your waiting time short, and give access to your unit faster. Planned by consultants based on studies relating to population and general habits of elevator use, the number of elevators in each tower is an indication of how much research and preparation were injected into this project. 3. How many units are there per floor? Looking at buildings from the ground up, you don’t realize there’s more units packed into a single floor and you have more neighbors to deal with than cups of sugar in your pantry. The number of residents in a floor dictates the comfort that you feel when considering personal space. At The Grove by Rockwell, the primary objective is to provide a space for you and your family to grow amid the luxury of personal space, and that is why comfort is priority. With 75 percent open space in The Grove, Rockwell delivers its residents the perfect venue to unwind and relax after a hard day’s work and also the perfect venue for kids to grow up in the city. There is no cramped corner in the Grove, with the very accommodating space outside, and the limited number of units per floor, there is freedom for movement and relaxation. 4. What kind of demising walls stand in between units? Most developers will not tell you that their demising walls (walls that divide your unit from your neighbors’) are made of gypsum board and base boards only. This means that you can practically hear anything and everything that your neighbor is doing, and vice versa. At The Grove by Rockwell, you are assured of walls that are made of concrete masonry unit (CMU), which not only minimizes noise, but also lasts longer and is resistant to patching and deterioration. 5. What can I expect upon the project’s turnover? While other developers promise a date at the appointed time, there are often repairs that need to be done on rushed building components like plumbing and electricity. Rockwell Land guarantees a smooth turnover on time, if not earlier. No harried construction is made to keep methods and quality at par with international standards. No dawdling caused by inconsistencies in scheduling and building either. This is the mark of truly specialized expertise — the precision and disciplined movement in construction. 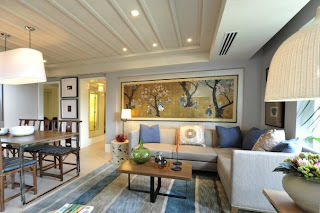 In fact, the first two towers of The Grove by Rockwell will start turnover by June 2012, delighting excited unit owners and investors. 6. How is the quality of the finishes? Who are the contractors and sub-contractors of the project? You will want your tiles to be made of ceramic for a cleaner feel and laminated wood flooring to add an elegant luster to the area. Finishes should be easy to maintain and last for longer use — these are the top qualities that units in The Grove by Rockwell are designed with. Rockwell also has stringent quality control with the contractors and subcontractors, as well as the product and quality of service that they have. You have the peace of mind that your home is made by the best people and with the best products. Moreover, Rockwell is definitely serious about concept, structural and building quality that mock-up unit simulations are constructed to study and improve on design efficiencies. Beyond the learnings from text books, closed-door meetings and endless flow charts, The Garage in Rockwell Center has now provided an avenue for Rockwell’s experts for actual simulation of actual residential units and processes, which builds up to seamless execution when the time comes. 7. Does the area of the condominium flood? How was the developer prepared for this? One of the basic misconceptions about condominium living is that floods are never a problem since the units are several floors above the ground. However, one must still scrutinize the steps taken and functionality considered when the developer was designing your home. Moreover, Rockwell Center’s master-planned community in Makati is testament to the commitment their effective planning and development of waterfront communities, with the Pasig River just adjacent to its perimeter. The Grove by Rockwell will certainly echo the beauty and functionality of its predecessor. Also using a 100-year cycle flood study, Rockwell Land ensures that The Grove is designed to endure against the toughest typhoons and high floods that come with heavy rains. The Grove, even with its site adjacent to the Marikina River, is prepared for the worst. The towers are located well above the two-meter-high floods when Ondoy caused the river to swell drastically. 8. How much back-up power is guaranteed and what areas are covered? As blackouts are not unusual in Metro Manila, developers often promise that they have back-up power for you. Ensure that you are satisfied with the amount of reserve energy they have for your convenience. In most cases, back-up power is just assured for common areas of your condominium. Or, if it reaches your unit, provision for electricity is only good for one or two socket outlets. 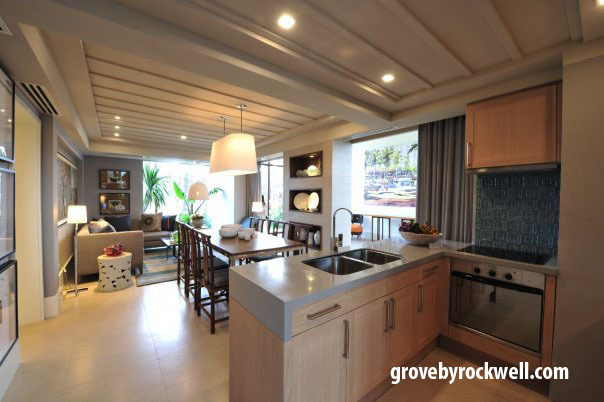 The Grove by Rockwell offers 100 percent back-up power enough to light up the entire community — from common areas to your entire unit — everything from bulbs and television sets to all your air-conditioning units. A 100 percent reserve power is provided as a standard at times when you need it most for a more secure and comfortable environment. 9. How much water supply is available in case of emergency? This is a feature that is provisional to particular emergencies, and yet is an undeniable need when an unexpected event does occur. A reservoir of water for dire circumstances is a very welcome point indeed. Rockwell Center in Makati has a reservoir of water coursed through multiple distribution pumps to ensure a steady supply of water to residents for up to two whole days. The same kind of functionality can be expected in The Grove by Rockwell. 10. How credible is the developer behind the project? An indication of how your future home will look like, be delivered and maintained is an echo of the developer’s past projects. You must look at their project portfolio, examine and evaluate its condition now. With your hard earned money, you must place it in the hands of a trusted developer. With over 16 years in realty development, Rockwell Land stays true to its reputation as a premier property developer in the country. Rockwell has delivered quality residential and commercial spaces fit for the discerning consumer, who knows the value of investment. Designed to bring the Rockwell lifestyle to Ortigas, The Grove by Rockwell will be a convergence zone of decision makers, housewives, young professionals and fun loving kids. It is a hub of world class shops and services and home to families and executives who look for the better things in life.